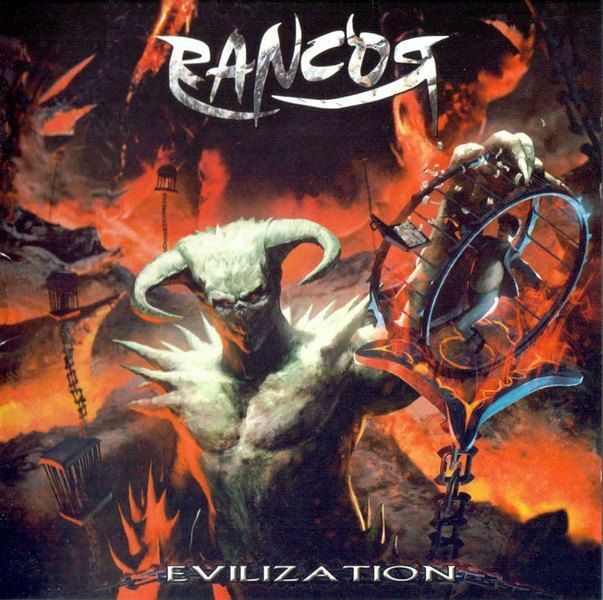 Thrash Metal band formed between August and October 1998 in Madrid (Spain). 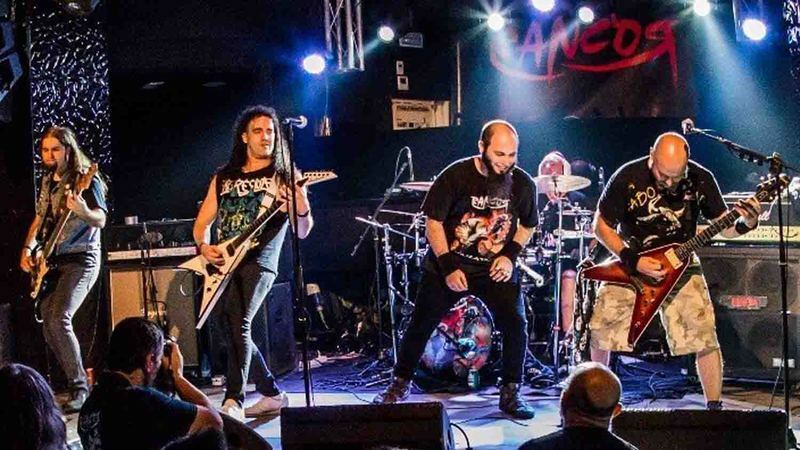 These Spanish thrashers have been around since 1998 and they were influenced by a bunch of bands from Metallica to Anthrax to Iron Maiden to Slayer, and so forth. The band's third album, Evilization, isn't really full-blown, pure Thrash Metal. It also draws some influences from NWOBHM with an occasional yet nice twist of Rock 'n' Roll and even funky elements (though not so much in the Mordred or Faith No More way).It's really refreshing to hear Thrash Metal bands that sound mean and aggressive but at the same time seriously have some fun when rehearsing together, ending up pulling out an extra card from their sleeves and delivering a surprise element to it. That kind of feeling and vibe is what Rancor manage to deliver here. While the band's core sound is obviously built around bands like Anthrax, Death Angel (the Frolic/Act III era specifically), and Slayer, they know how to spice things up a little bit within their well-paced and structured Thrash Metal. The songs are overall kind of up-tempo-ish, but with some more complex arrangements. Vocalist Dani López has a nice raspy voice, reminding me of both Mark Osegueda and Hansi Kursch (Blind Guardian) here and there.The band's old-school-tinged Thrash Metal truly appeals to me and even the production sounds raw enough to support this vision of them as the kind of 'in old-school-we-trust' band. Rancor are definitely worth checking out for the more open-minded fans of the genre.